To celebrate the Usher Gallery's ninetieth year, Dawn Heywood explores the wonderful artworks collected in each decade it has been open. 1937 was a milestone in the Usher Gallery’s long association with the artist Peter DeWint. In that year a major exhibition of the artist’s work was held with works being loaned in from national institutions and private collections. Organised by Geoffrey Harmsworth, an authority on the artist, the catalogue describes the exhibition as “illustrating DeWint’s affection for Lincolnshire landscapes and revealing his genius as a painter in oils as well as watercolours, many of his pictures being exhibited in public for the first time”. The Usher had received its first works by DeWint a couple of years earlier in 1935, when Miss GM Bostock donated two paintings. 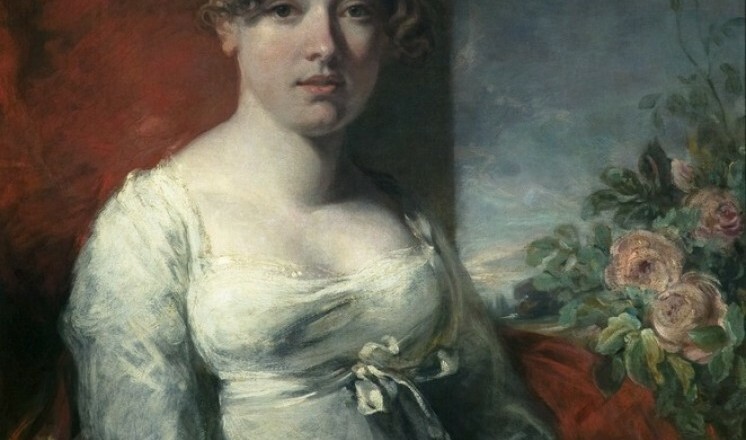 Miss Bostock was the companion of Miss HH Tatlock, the artist’s granddaughter. 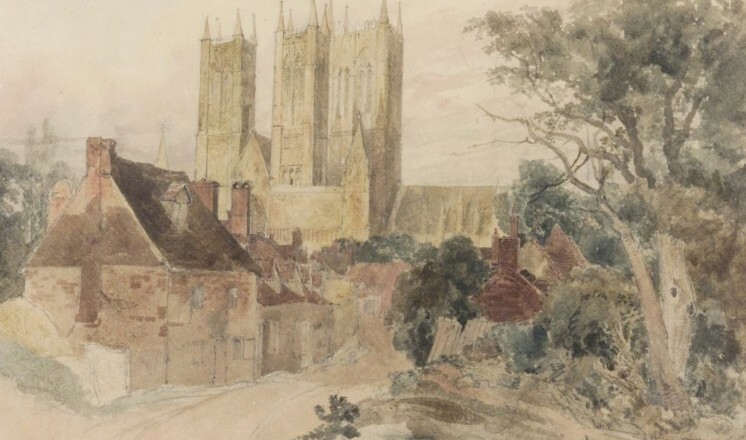 These were a watercolour sketch of Lincoln Cathedral from Drury Lane and a beautiful portrait in oil of Harriet DeWint, the artist’s wife. A third gift was an embroidered picture of dead game, worked by Harriet DeWint herself. Two large oil paintings were added to the collection in 1937 before the exhibition, when Miss Bostock presented ‘Landscape with Rainbow’, and Geoffrey Harmsworth donated ‘Landscape with Castle’. The exhibition introduced the Gallery to collectors of DeWint’s work and many of the purchases and gifts in subsequent years were of paintings exhibited in 1937. By the end of this decade of collecting the Gallery had over 150 of his works, including a mix of watercolours, oils and a set of his Sicilian prints. DeWint was born in Staffordshire, but made an attachment to Lincolnshire when he visited his friend and fellow artist William Hilton, and subsequently married Hilton’s sister Harriet. He was a keen observer of nature, delighting in landscapes and the effects of weather and light. He found beauty in the wide open landscapes and big skies of Lincolnshire. The Gallery staged further exhibitions of DeWint’s art throughout the years, and most recently, in 2007, an exhibition was held at The Collection, in the spacious New Curtois exhibition gallery. By the end of the first two decades of collecting the Usher Gallery’s fine art collection had developed, having acquired a good collection of oils and watercolours by eminent artists including DeWint, Lowry, Bramley and Logsdail. The Bailgate Independent is also covering this story in their monthly issue – http://www.bailgateindependent.co.uk/ Out now!